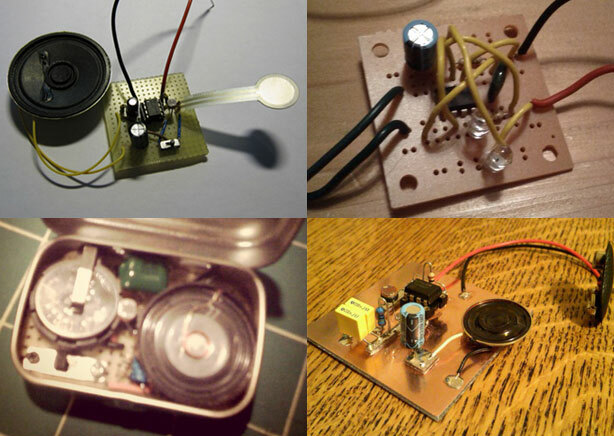 MAKE Magazine has posted 8 mods for their popular Weekender Light Theremin project. Even with the mods, this project isn't going to sound like a classical theremin, but it's an easy project to complete and a fun instrument to play. The original optical theremin design was created by Steve Hobley. You might recognize his name from the ultra cool theremin stand project we featured recently, or perhaps from his Pitch-to-MIDI converter project. Either way, he's a busy guy, and he's cranking out some great theremin tech lately!